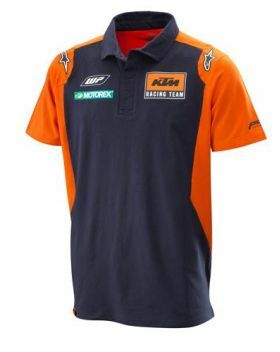 Polo shirt in KTM Racing Team style with KTM Racing Team logo on front and back and sponsors’ logos printed on the sleeves. Product Shipping January of 2018!!! !